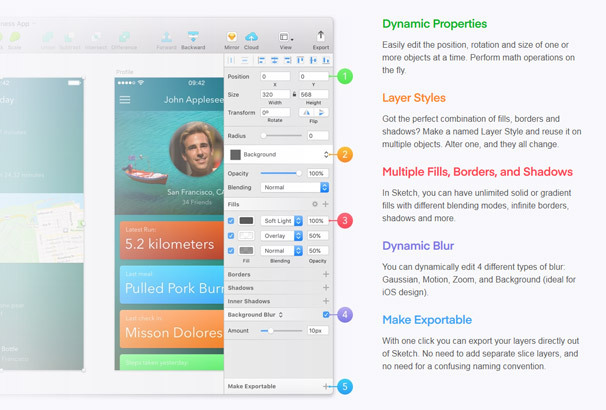 Sketch has steadily been gaining in popularity among web designers and is fast becoming the tool of choice for creating website mockups and UI designs. It includes many features that other more traditional programs such as Photoshop do not. For example it includes support for multiple pages and artboards within the same project, the ability to create shared styles which work like CSS so you can use the same text styles and other elements easily. Another great feature of Sketch is the ability to extend it’s capabilities even further via the use of plugins, there are numerous plugins for many different pieces of functionality. 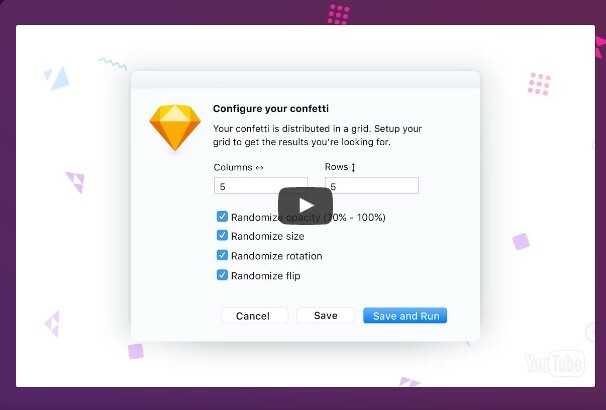 To use plugins, all you need to do is install the Sketch Toolbox, which acts as the plugin manager and then begin downloading your plugins of choice. To help you get started, we have compiled this list of over 30 of the best completely Free Sketch Plugins – take a look below and start adding new functionality as you choose! By using this plugin you can select all child layers of a group. This will help you to automatically drill down into the selected group and select all of the layers inside with an easy way. 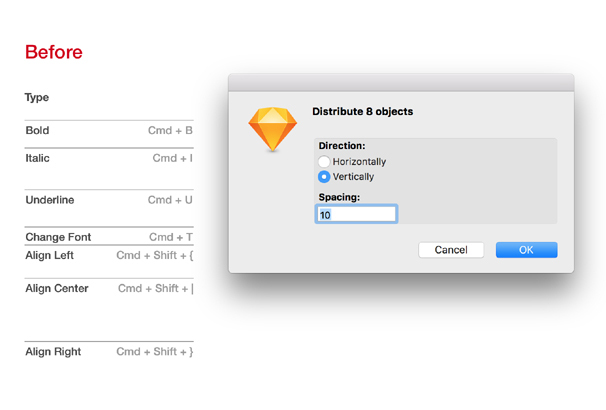 The SketchDistributor plugin helps you to distribute selected objects vertically or horizontally with a given space. If you want to set a specific distance between layers, then you can use this plugin. Sometimes it is very difficult to unlock all the layers. 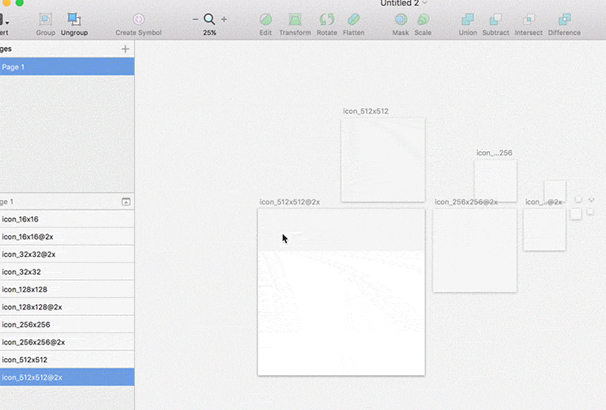 You can easily unlock layers in Illustrator with a handy keyboard shortcut but Sketch doesn’t. 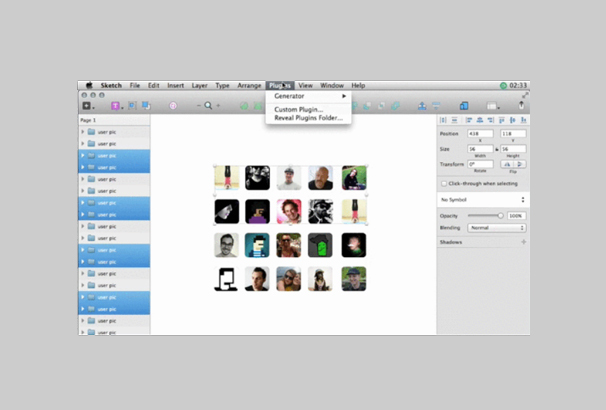 By using this plugin, you can easily unlock all layers on the current artboard using ⌘⌥L. 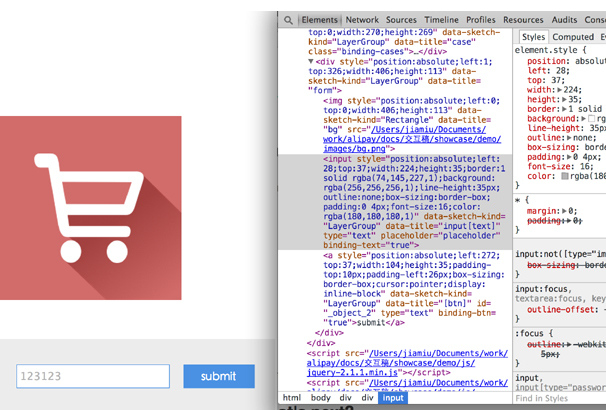 This useful plugin was created by Stelios Constantinides. If you are looking for a plugin which can help you to duplicate artboards objects then you are on the right page. This plugin can help you to duplicate all the layers to all outboards. This awesome plugin was released by keremciu. This is an awesome plugin which can help you to find out imperfect layers in the documents. This will also help to make a clean document and keep your design specs tight. This plugin was created by swiadek. 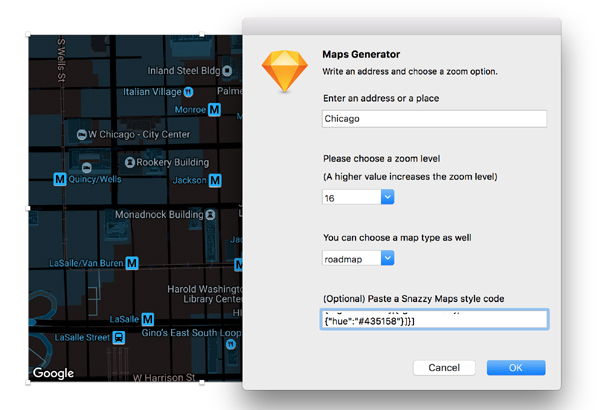 By using this plugin you can easily design a map view for a mobile device or website. Using this plugin is very easy, just write down the location name and the plugin will do the rest. This plugin was created by eddiesigner. Sometimes it’s very difficult the find text and replaces with new text. But using this plugin, you can easily find text in selected layers and easily replace the desired text in seconds. You can also search the whole document and it will search every layer in every artboard in every page of your document. In general, if you have a bunch of layers that need to be converted to symbols, then you have to select all of that items one by one. This process is so painful and killing lots of time. 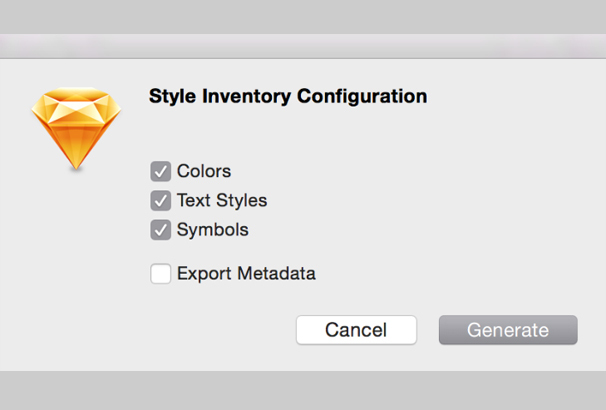 This plug-in will create a symbol for every item that is currently selected. This exclusive plugin was created by demersdesigns. 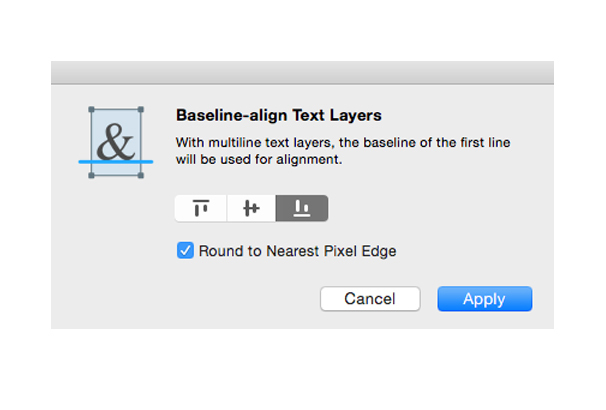 This plugin will help you to align text layers by their baselines. 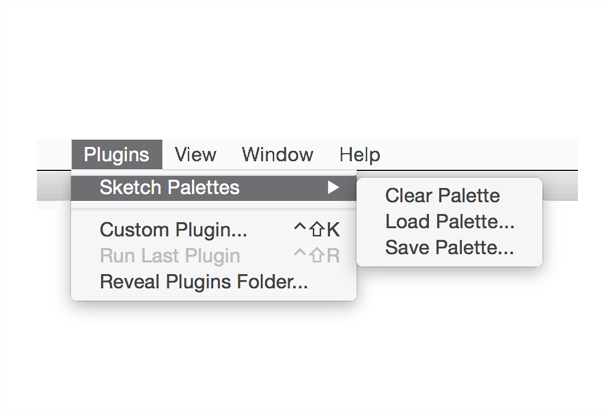 This plugin only works if you are using Sketch 3.3 or later. This plugin was created by abynim. This plugin comes with clear icons that will help you deliver accurate design specs right at your hand. You can automatically generate an HTML page with one click, and inspect all the design elements including CSS Styles on it offline. This plugin was created by utom. If you are looking for exporting and importing plugins to fill presets then you can check out this amazing plugin. This plugin also supports colors, gradients, and pattern fills and you can save the file at whatever location you choose. This plugin was created by andrewfiorillo. Sometimes we need to add dummy text or photos in development. This plugin is perfect to do that. You can add dummy data, such as avatars, names, photos, Geo data etc. by using this plugin. This useful plugin was created by timuric. 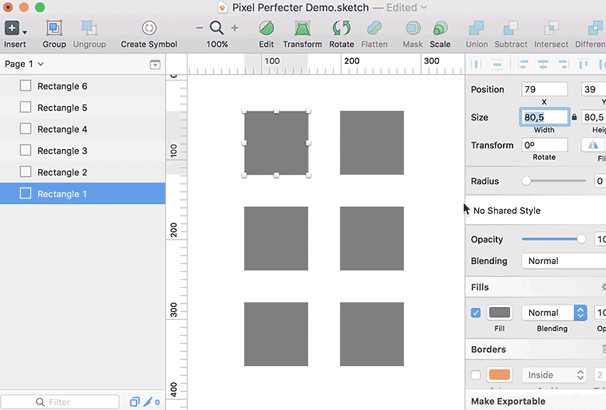 This plugin is perfect for creating multiple sizes of iOS icons. You can create any sizes iOS based icons within very short time. 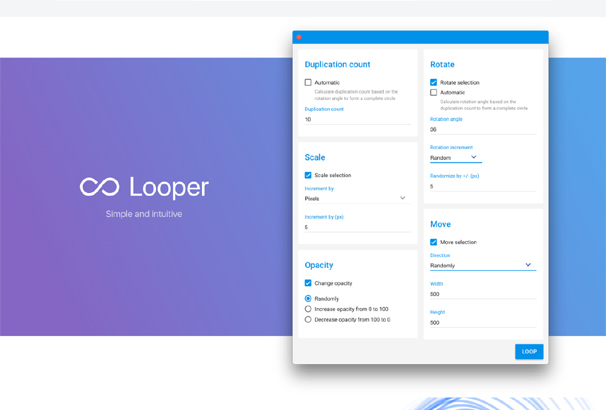 There are two different ways to install Icon Stamper and this plugin work with any Sketch document that has a dartboard and help you to create any size icon you need. This plugin was created by tylergaw. The plugin really makes it so much easier to iterate and keep Marvel in sync in Sketch. 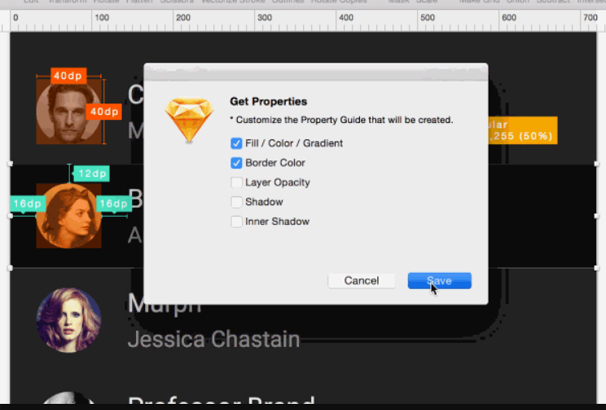 By using this plugin you can sync designs, play prototypes and record flows. It requires OS X 10.11+ version to work with this plugin. Dynamic button plug-in for Sketch.app allows to create buttons with fixed paddings and you can add your text to the button. This is the best way to create amazing dynamic buttons in seconds and will save lots of time when developing new apps. If you want to share your pictures of your layers, then check out this plugin. This plugin has image sharpen filter so that you can get perfect image layers in Sketch. You can select multiple layers at a time, so your time will be saved This plugin was created by axmsv. This is a plugin for your sketch app that gives you an overview of all your used styles and helps you to merge the styles of similar layers into one and will also export a CSS file with text styles. 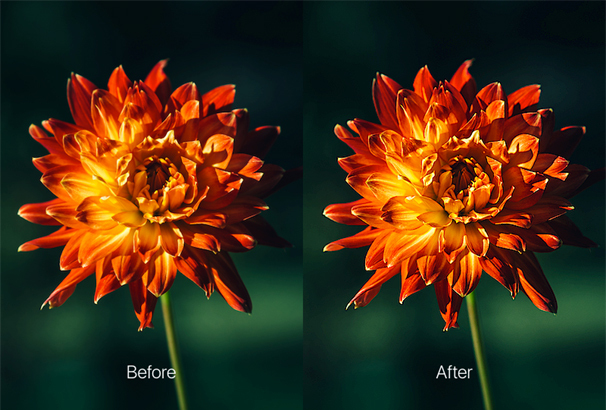 This plugin was created by getflourish. If you want to use FontAwesome, Ion or Material Design Icons in your Sketch designs, then this plugin is perfect to do that. 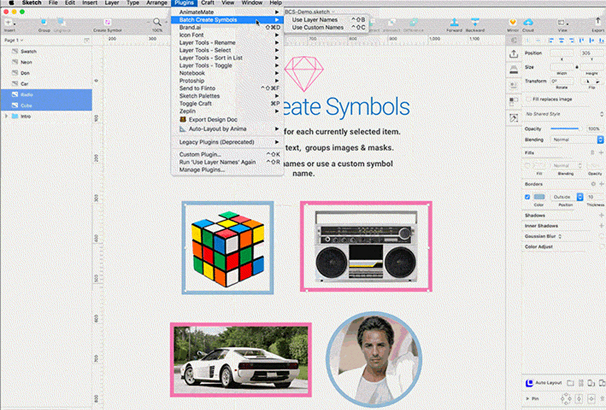 This plugin helps you easily insert and manage icons from icon fonts. There are no icons including this plugin. 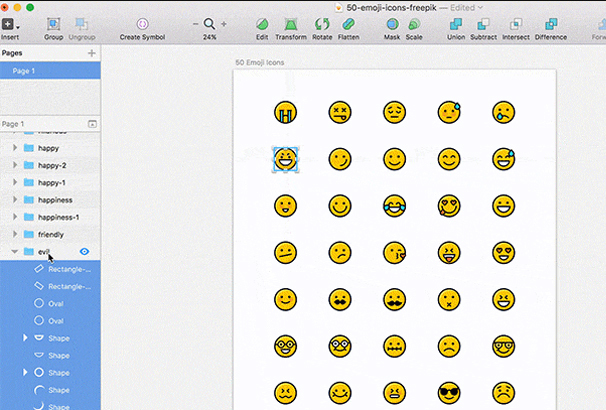 Just download icons for the publisher website and add any icon directly Sketch! 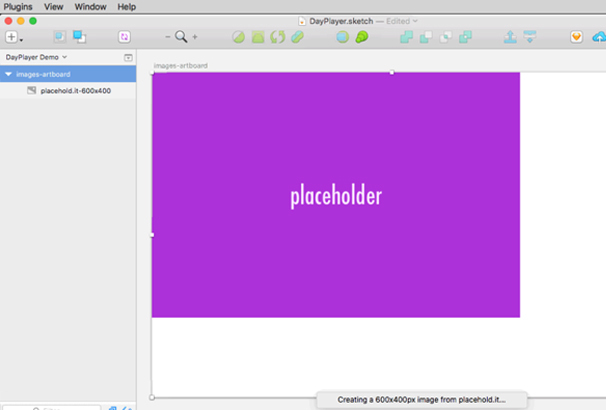 By using this plugin you can easily create placeholder images from online services. 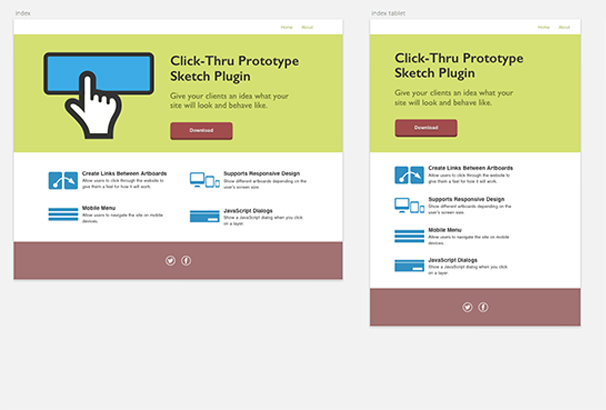 You can insert any customized placeholder images into any sketch document. This plugin was released by tylergaw. This data studio plugin helps you to upload or generate numerical and qualitative data for charts and tables. 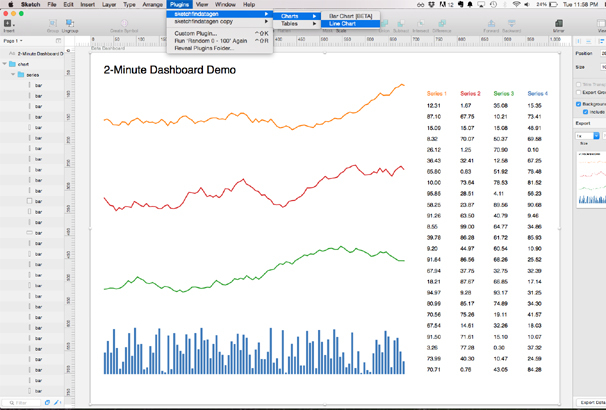 If you’re working with big data interfaces, then this plugin will help you to show those data in a chart. This plugin was created by thetylerwolf. This plugin helps you to add outboard presets for the most common image dimensions of most social media platforms. You can use this for popular social platforms such as Twitter, Facebook, Google+, LinkedIn, Pintrest, dribble, Instagram or YouTube. This plugin was created by herrhelms. 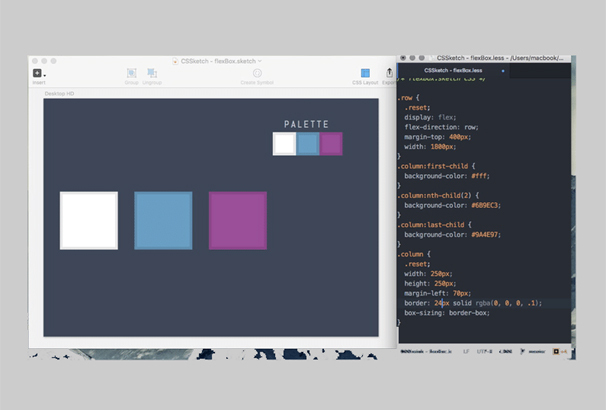 This is a plugin for a sketch app that automatically generates HTML. It will generate a tag for the group, tag for text, etc. 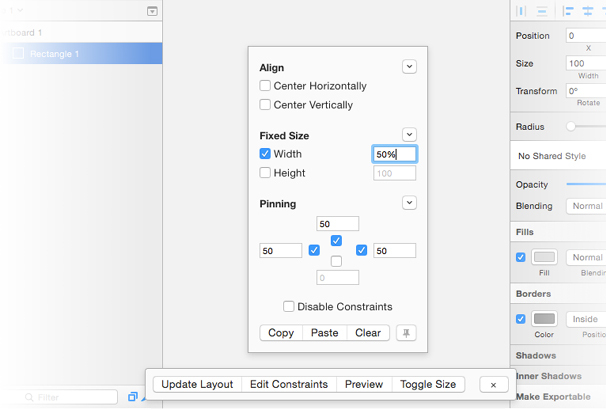 This plugin requires latest Sketch beta or version above 3.0.3. This amazing plugin was created by sskyy. This is an exclusive plugin for sketch app that adds CSS support to Sketch 3 for a faster design workflow. This plugin enables you to modify your designs quickly by attaching it a stylesheet to it and it is very easy to use it to layout your designs, change colors and shadows quickly, etc JohnCoates. If you want to give your clients of an idea of a web design then this plugin will be a great help for you to do that. This plugin creates an HTML click-through prototype of a website design so you can save your time to show a demo design of a website. Just change the width of the browser to see the different responsive designs. This powerful plugin was created by markhorgan. 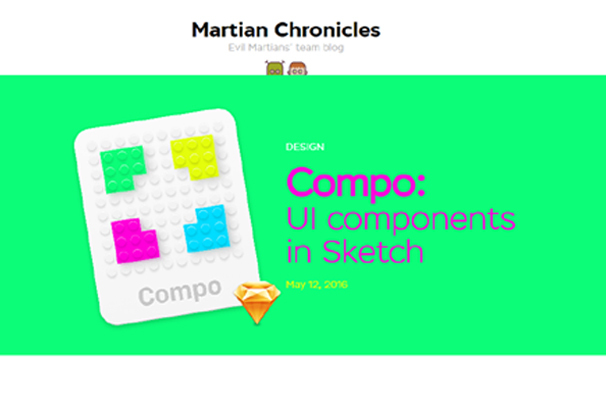 This plugins helps to create more constraint-based, responsive designs. 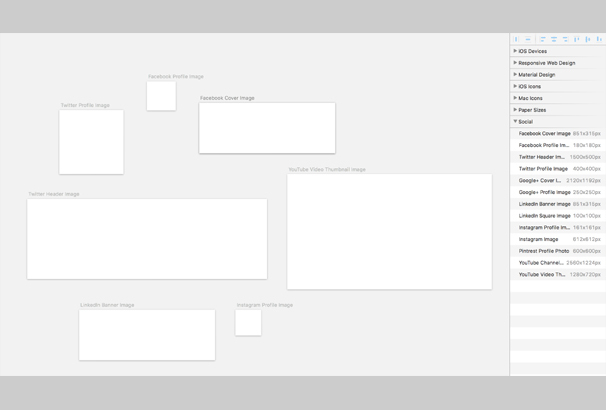 Now you can easily resize artboards and update their layout by using this plugin and you can also preview the work in different sizes This plugin was created by matt-curtis. This is another useful plugin for sketch app that helps automate duplication of groups and layers. If you want to create interesting geometric and organic patterns, then this plugin is perfect for you. UI components are the foundation stone of any design and this plugin helps you turn a text layer into a simple button. You can also put an existing component in order with some easy steps. This is a free and open-source project hosted on GitHub. 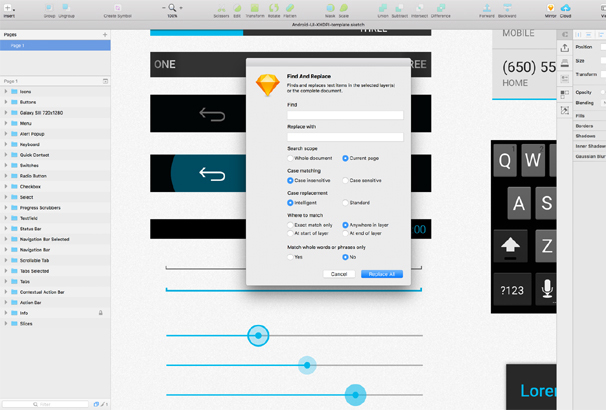 Sometimes you need to export your sketch designs as HTML email templates and this plugin helps you to do that. 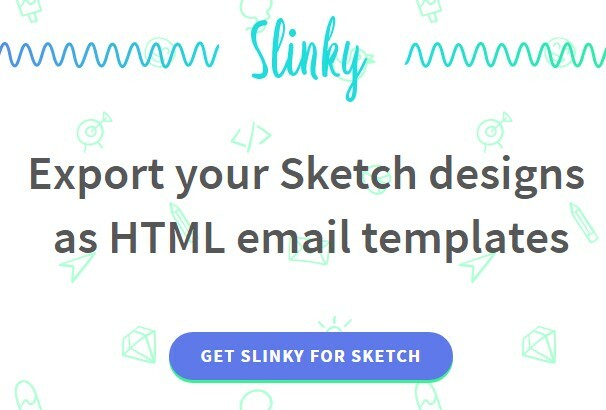 By using this plugin you can easily export Sketch artboards as ready–to–send HTML e-mail templates. This plugin was created by finchalyzer. 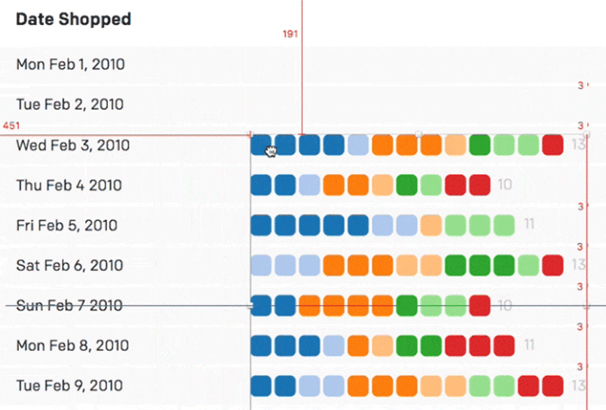 This plugin works with a grid so can you easily grid in vertical columns and horizontal rows. This plugin also works with symbols. You can also create any pattern you want by changing their size, rotation or transparency settings. Reza Sujon is a freelance Tech journalist, his content has been featured on high-profile publications around the world.